Asbestos was confirmed as a hazardous substance/material in 1999, which was when it was outlawed for use. If your house was built between 1930 to 1999 then the chance is your garage and home will both have asbestos in it. It could be many things from the paint in your home or the roofing of your garage. Asbestos was a very popular material so you can find traces in everything from guttering, cement and even insulation since asbestos is a very good insulator. Asbestos is actually stable as a material when it is undamaged & sealed. The only time asbestos is dangerous is when the material is damaged which allows the fibres to be released. Damaged asbestos needs to be repaired or removed as soon as possible. There’s no need to panic if you think you have asbestos in your home or garage since asbestos garage removal costs are not as high as you think! Before delving into asbestos removal costs, it could be more resourceful & cost effective to leave asbestos alone as long as it is undamaged & sealed effectively. Many UK households have asbestos in them but are completely safe as long as the asbestos is left alone. For peace of mind, asbestos can be removed from riskier areas so that the asbestos doesn’t develop into a hazard. You do not have to wait for signs of damage or deterioration before you inquire about asbestos removal costs. Should I Try To Remove Asbestos From My Garage Myself? No. Asbestos is not DIY friendly since the removal of the material is incredibly difficult to do safely. Many “DIY rumours” state that you can just remove it they then bury or burn the waste. This is incredibly dangerous as well as against the law since this is a huge environmental hazard, as asbestos will undoubtedly be released. Removing asbestos from your garage is incredibly difficult as it could be anywhere depending on who built the garage. Asbestos was used in everything from roofing tiles to cement sheets, which are both used in the construction of a garage. If you would like to learn more about the legal aspects of asbestos, you can do so by browsing the government’s official asbestos legislation. Amosite – Amosite is the second most common type of asbestos that originates from Africa. Amosite is known as brown asbestos and it’s most common use was in cement sheeting & thermal insulation. Asbestos is a very good insulator so it's used in plumbing was abundant. Amosite was also used in roofing tiles so Amosite is present any many homes that were built before 1999. Tremolite – Tremolite wasn’t a hugely commercially used material but it was found in some paints, sealants and roofing materials. Tremolite can be a range of colours from white, green, grey and even clear. Whilst it is true that some types of asbestos are less dangerous than others, all types are dangerous and a risk to our health. Leading health organisations including the EPA classify all kinds of asbestos as cancer-causing substances. Agencies like the Health Protection Agency claim that Amosite & Crocidolite are the most dangerous types of asbestos. Asbestos garage removal cost may seem expensive since you could just “knock it down yourself” and just ignore the asbestos but this is incredibly unadvised. Taking the job on yourself is the worst thing you could do since you don’t only have the risk of asbestos hazards, but the garage removal itself could injure you since some cement sheets can weigh hundreds of kilos. De-constructing a garage yourself is not something you should attempt as it takes trained professionals to do it safely. Just the term "asbestos" can fill us with dread when you start dwelling on the possible health effects asbestos could cause. Found in everything from buildings, garages and outbuildings built from the 50's and 60's, Asbestos can cause serious health issues, causing conditions in the lungs like mesothelioma The average person can't tell if you have asbestos in your property until a survey takes place. Even if it is present, unless disturbed it is unlikely to harm you. For a lot of people, that is barely reassuring, as most people just want rid of all traces of asbestos but we just don't know where to start. However tempting it might be to do it ourselves, it is incredibly dangerous to do so as you are in a sense playing with fire as you will be disturbing stable or unstable asbestos moving around fibres which will be released into the air. If you do asbestos in your garage and want your garage removed, you are going to have to use a reliable provider like A4 Asbestos. They will be able to safely remove all traces of asbestos as well as demolish the garage so that you're left with space to either keep it as such or to rebuild a new garage. There are always companies out there that offer complete garage removal for incredibly low prices, but you have to understand that these may not be accredited and qualified removal specialists. Enquiring with “cheap” untrained workers is not advised either since they may not be qualified to remove the asbestos in your garage or home. They may offer cheap asbestos garage removal cost but they are risking your health as well as your families since they do not know how to effectively remove asbestos so that it doesn’t pose a threat to human health. 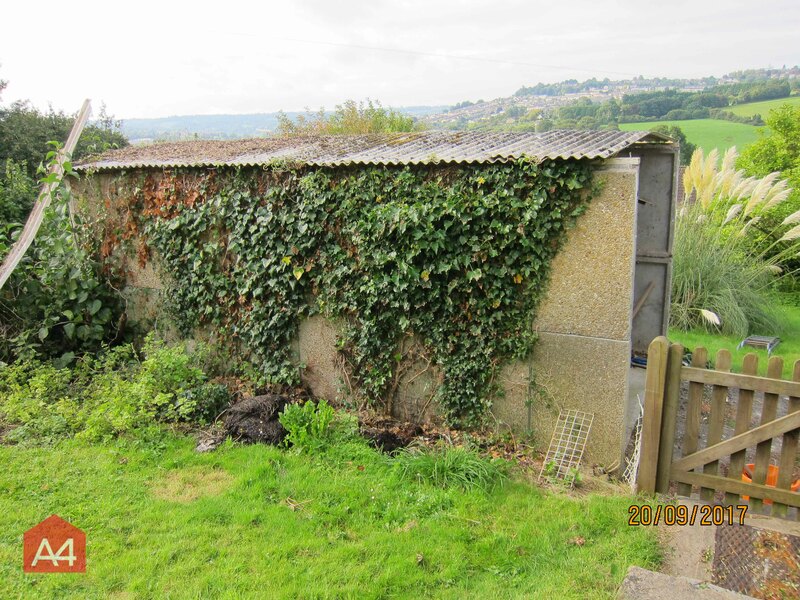 It’s also highly likely that unqualified workers will dump asbestos waste by fly-tipping the waste in rural areas, which poses huge threats to the environment & any local population that is close to the waste.